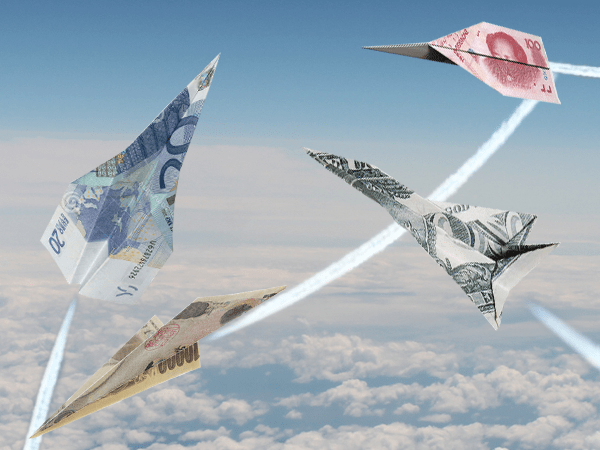 The new Trump administration is calling out several major U.S. allies with claims of currency manipulation, but the accusations come with a risk Americans need to understand. The finger pointing started with China, but now Japan and Germany are under fire as well. Whether there’s truth to the claims or not, economists fear the Trump administration may be on the brink of starting a currency war that puts the entire global economy in jeopardy. Historically, no one other than the U.S. Treasury Secretary is expected to comment on the valuation of the dollar or that of other nation’s currencies. But just as with so many other things, the Trump administration is leaving tradition far behind. Trump himself has already made several public statements threatening to brand China a currency manipulator. Now he’s making similar comments toward Japan, and one of his top advisers is doing the same with Germany. Shinzo Abe, Japan’s prime minister, complained on Wednesday after Mr Trump attacked China and Japan for “play[ing] the devaluation market”. The previous day Angela Merkel, Germany’s chancellor, denied that Berlin was seeking to influence the valuation of the euro — after a top Trump adviser in an interview with the Financial Times accused Berlin of exploiting a “grossly undervalued” euro. Trump has already gone on record saying he thinks the dollar is too strong. An expensive dollar puts American companies at a competitive disadvantage and can hamper U.S. growth. But Trump’s economic policies threaten to push the dollar even higher in value. Perhaps that’s a necessary “evil” to reap the benefits of his plan, but it could put the U.S. in a vulnerable position. If conflict of currency valuation does break out, aggressors could take advantage of the U.S.’s situation. That means double the risk. No shots have been fired yet, but analysts are already issuing warnings. If and when the U.S. ultimately comes to blows with its allies over currency valuation, uncertainty in global economies will swell. When that happens, there’s one thing that you can probably count on: A flight to safe haven assets like gold. Gold prices are already responding to building tensions of a potential currency war, signaling that many Americans are already acting to protect themselves. If you haven’t already sought shelter in gold, your time to do so may be limited.